The mass transfer of the Soviet population to the East with the outbreak of the war against fascism was a dramatic and heroic epic in world history, and, as Marshal Zhukov put it, "the greatest battle of the Second World War." At the beginning of the Nazi offensive, Stalin had no plans to evacuate people as he was more concerned with the need to prepare for possible troop retreat. Those who dared to offer plans for evacuation were executed. When the subject of the evacuation reached Moscow, Stalin responded to the army’s Command by saying: "I consider your proposal for a partial evacuation of the population of Moscow to be untimely. I ask that the commission on evacuation be dissolved, and talks about evacuation to stop." 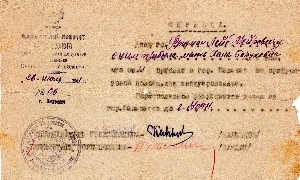 Nevertheless, on June 24, 1941, the Council for Evacuation was formed for "exporting industry and the correct people" (underlined by the author). Although the fate of the Jews, for obvious reasons, should have become a priority, the Jews were initially excluded from the national movement to evacuate the “correct people”. There were about 4,855,000 Jews in the territory of the USSR by the beginning of the war. The Jews comprised 24.8% of the evacuees, - second only to Russians (52.9%). However, the percentage of Jews who evacuated was not related to the USSR's policy of saving the Jews, but instead occurred because most of the Jews spontaneously fled. About half of the Jewish population lived in territory that was annexed by Stalin in 1939-40 including the Eastern parts of Poland, the Baltic States, and part of Romania. 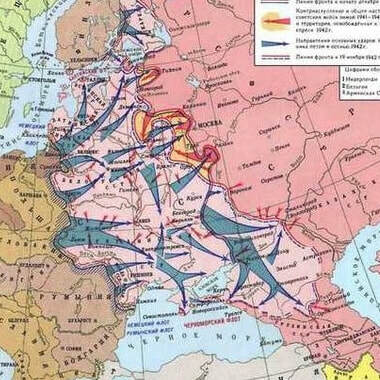 The Soviet authorities employed many strategies to prevent Jewish refugees from these areas from relocating to Soviet territory. In February 1940 when R. Heydrich, (Reich Service on Jewish affairs) requested the Kremlin to move the Jews from Germany to Soviet territory, the Soviets categorically rejected the request and Jews who fled from Poland were labeled “potential spies” in the NKVD circulars. 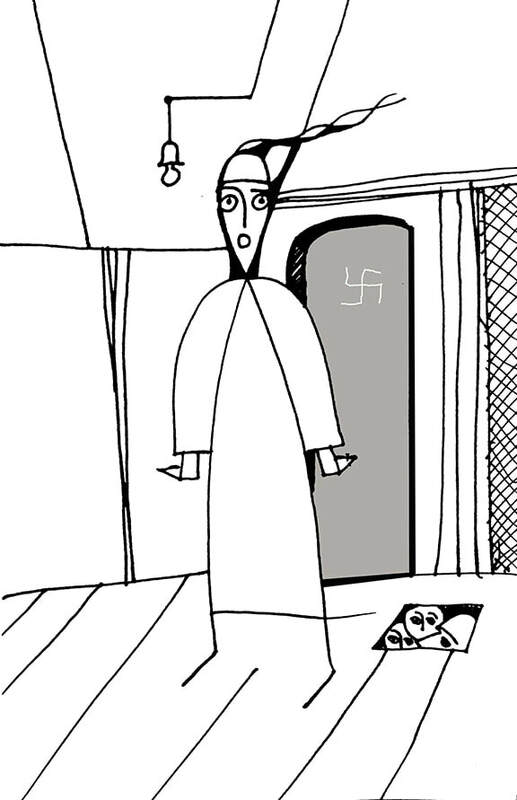 Despite the fact that the anti-Semitic policy of the Nazis was well known in the Kremlin, Jews did not have a clear understanding of the danger. Besides, many remembered the loyal attitude that the German army in Ukraine displayed to the Jews during the war of 1918. As a result, only 170,000 Jews from these territories managed to flee to the East, and only about 100,000 reached the interior. Jews accounted for about 30% of the inhabitants in the Western part of Ukraine seized by the Soviets and another 1,270,000 Jews lived in the territories of Eastern Poland seized by the Soviet Union in 1939. From the autumn of 1939 to the beginning of the 1941 war, despite all the obstacles imposed by the Soviet border authorities, 300,000 Jews from these two regions managed to enter Soviet territory. Although many were expelled or imprisoned, some of the Jews received Soviet citizenship and remained in the annexed districts. On June 22, 1941, the Jewish population of Ukraine was 2.5 million. The percentage of Jews who escaped from major cities such as Kiev, Odessa, and Kharkov was huge. In Kharkov, for example, out of 150,000 Jews who lived there before the war, less than 20,000 remained under occupation. As well, about 150,000 of the 200,000 pre-war Jewish population was evacuated from Kiev. To gain permission for formal evacuation (on trains) individuals needed special permits from the “Evacuation Council”. These permits were difficult or impossible to acquire for those who were not given “priority in evacuation”. Since the Council did not favor Jews to participate in this special category, they were left to fend for themselves and attempt to evacuate by any means possible. Already disenfranchised and left behind, people without the “Evacuation Council`s” permission to evacuate were also deprived of food cards. Millions of evacuees without these food cards resorted to bribes and other ways to struggle for survival. Evacuation to the safety of the interior can only be described as chaos, despair, hunger, human loss, humiliation and aggression among people who had become part of a turbulent multitude. One further note: it is customary to think that large cities in the interior of the USSR, such as Tashkent, Alma-Ata, Ufa, Kuibyshev, etc., were the destinations for the evacuation. In fact most of the evacuees were settled in the smaller towns of the Urals, where the main industries were directed to move. The Jews accounted for 30% of the total number of evacuees in the Sverdlovsk region. Tsal Kaplun Foundation is going collect and publish more about this issue from letters and memoirs written by survivors of this calamity.